At its 2nd annual GAP-Net Site Optimization Conference, GAP unveiled a new video promoting its Acti-v8 Your Brain initiative, which encourages people to improve their brain health through positive lifestyle changes and to join Alzheimer’s clinical trials. Check out the video below! As we reflect on all the activity in the Alzheimer’s community in 2017, one landmark announcement stands out as a turning point and a tremendous validation of The GAP Foundation’s core mission. This was Bill Gates’ decision to focus on Alzheimer’s – particularly, accelerating clinical trials – with a $100 million donation to research organizations. The announcement galvanized the Alzheimer’s community and attracted global media attention. Yet, one critical point may have been lost in the coverage: Gates is focusing on trial enrollment as one of his key progress areas. This reinforces the critical importance of GAP’s mission and daily efforts, our network of approximately 60 sites known as GAP-Net, and the Memory Strings Community. Gates understands that transforming clinical trial recruitment and research is a key catalyst to speed up research progress in the years ahead. Exactly right. Recruitment currently limits the speed of clinical trials – a stumbling block at the beginning of every Alzheimer’s research effort. Improving recruitment, and the efficiency of trials overall, is essential for testing new treatment approaches and medicines, and ultimately making them available to patients and families. We look forward to the resources and innovation that Gates will bring, and we hope that there will be opportunities for collaboration. This donation provides a groundswell for the trial improvements that GAP is already working to create. Research volunteers and their study partners need a community ecosystem that encourages brain health awareness and trial participation. That’s why GAP and the Memory Strings Community have developed Local Alliances in communities across the US to educate and direct volunteers to their local research center to learn more about clinical trials. The GAP Foundation aims to build deep pools of potential volunteers who understand their brain health and want to participate in research. Then, these volunteers can be quickly and easily connected to local trial opportunities with the best researchers in North America – our network of high-performance GAP-Net sites. Every clinical trial must be reviewed and approved by an institutional review board (IRB) – a necessary safety requirement, but one that can also slow trial launches and lead to significant delays. To make the process more efficient, GAP has established a centralized IRB process for all GAP-Net sites. With this approach, a study only needs to be approved once by the central IRB, then all GAP-Net sites are able to start the clinical trial, rather than waiting for IRB approval at each individual location. This is a significant achievement that will drastically speed up the otherwise lengthy process. Currently, implementation of clinical trials is often unstandardized and cumbersome, with little sharing of best practices and lessons between sites. GAP is addressing this by creating a standardized, streamlined process to implement trials. This approach includes sharing of best practices and master clinical trial agreements. These strategies are vital to accelerating Alzheimer’s clinical trials. Widespread adoption, including by the organizations now funded by Gates, would speed up recruitment and align researchers to find and advance desperately needed therapies. GAP is also continuing to innovate with a range of new efforts. For example, Acti-v8 Your Brain is a new brain health initiative that can help people connect with GAP-Net research institutions that offer scientifically-validated information and many studies concerning brain health . GAP is also working on strategies to reduce transportation barriers to help recruit and retain research volunteers, particularly underserved populations. Once again, we would like to thank and applaud Bill Gates for his commitment to finding an Alzheimer’s breakthrough. No organization, alone, can bring the necessary changes to the Alzheimer’s research system. But together, leading innovators can apply proven strategies that will accelerate trials and deliver effective treatments. In the future, we hope to look back on 2017 as a vital turning point in achieving this goal. Kate Zhong (@KateZhongMD) is the Chief Strategy Office for the Global Alzheimer’s Platform Foundation. What if I told you there was a tool for those affected by Alzheimer’s that can support social engagement, aid cognition, improve mood, and even re-awaken memory – and it’s available, for free, to every family in America? Too good to be true, right? In fact, such a tool already exists: music. Alzheimer’s research often focuses on new therapeutic and lifestyle interventions – and rightfully so, given their potential. Yet, simply playing music for a person with Alzheimer’s can deliver real, everyday benefits for their quality of life, particularly with songs they like and listened to earlier in life. Yet, many people remain unaware of music’s potential. Music is so common and accessible that its powerful impact on brain health is easily overlooked. However, multiple studies have reached encouraging findings about music’s effects on cognitive function. Supports Engagement – Playing familiar songs has been observed to help Alzheimer’s patients engage with those around them and their surroundings, even leading them to speak after months of silence. Family members and music therapists report that the effect is like “waking up” the patient, helping them to remember names and words. Aids Cognition – Research has found that music and singing can improve patients’ cognitive function. One study examined people with Alzheimer’s who regularly sang, and it found that their mental acuity increased significantly during the study period. Another study found that listening to familiar music improved scores on cognitive assessments. Reduces Behavioral Symptoms – A meta-analysis of dementia studies finds that music therapy can significantly reduce agitation. This addresses some of the most difficult symptoms of the disease for families and care teams. However, the details of how music achieves these results is still not fully understood – creating a promising opportunity for further research. Indeed, the scientific field of music and brain health is rapidly growing, as music has been found to offer similar benefits for other brain diseases such as PTSD, Parkinson’s, and autism. Researchers like Dr. Jacobo Mintzer, the Executive Director of the Clinical Biotechnology Research Institute with Roper St. Francis Hospital and a GAP-Net site member, are leading the way. Dr. Mintzer will discuss his research with world-famous soprano Renee Fleming at an event in Charleston, SC in December – part of the growing movement to draw attention to music’s therapeutic potential. 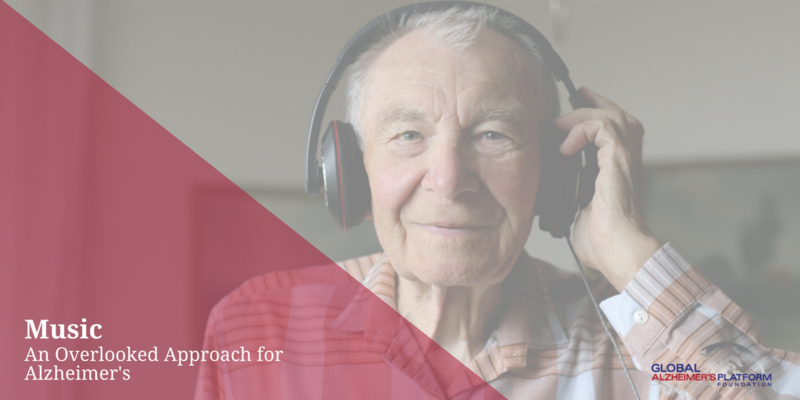 The hope is that research on the intersection of music and neuroscience can translate into real-world applications with meaningful benefits for those with Alzheimer’s and their families. This means that music represents a rich frontier for brain health and Alzheimer’s. Kate Zhong (@KateZhongMD) is the Chief Strategy Officer for the Global Alzheimer’s Platform Foundation. 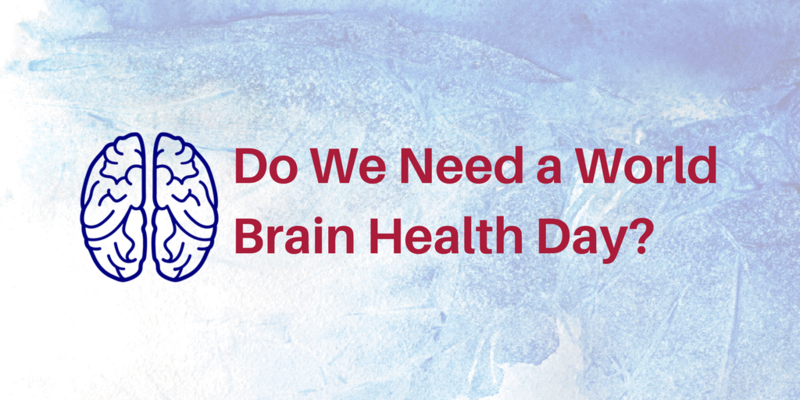 Do We Need a World Brain Health Day? On October 10th, the World Health Organization led healthcare systems, research institutions, provider groups, and patients in the recognition of World Mental Health Day. Awareness and educational events occurred in countries around the globe. This outflowing of support raises an interesting question: does the Alzheimer’s research community need a World Brain Health Day? While this may seem like a question for advocacy groups, not researchers, low levels of brain health awareness actually have a direct, negative impact on Alzheimer’s research. Most individuals don’t understand their own brain health, preventing them from taking the first step in the journey to research participation. Yet currently, few providers and health systems focus on addressing this gap. As a result, the pool of potential research volunteers remains small, making trial recruitment more difficult, lengthy, and expensive. Ultimately, that slows progress in Alzheimer’s research and therapeutic development. That’s not to imply important research in the area of brain health isn’t being conducted. For example, consider the ongoing EXERT study (Exercise in Adults with Mild Memory Problems). This study, conducted at six GAP-Net sites across the US, is a three-year clinical trial that is testing whether physical exercise can slow the progression of mild memory loss and improve thinking skills in older adults. EXERT, however, faces the same challenges. So what can healthcare professionals and researchers do to stimulate clinical trial participation? The best way is to help individuals bring brain health into their daily lives. Then, research becomes a natural extension of the actions they are already taking every day. These pillars reflect that research isn’t separate from general brain health awareness – both are part of the same journey for an eventual trial volunteer. You can learn more about these strategies at activ8yourbrain.org. That’s why GAP and the Memory Strings Community are working together to get more people started down the path to clinical trials. In cities and towns across the US, we’re collaborating with trial sites, provider networks, and community organizations to increase brain health awareness and build a pool of potential research volunteers. Our goal: more informed, trial-ready volunteers who understand the importance of brain health and proactively seek out research opportunities. That translates into better, faster, cheaper Alzheimer’s trials.